"Bridgeton", discharging at Europort, sometime in June 1992. 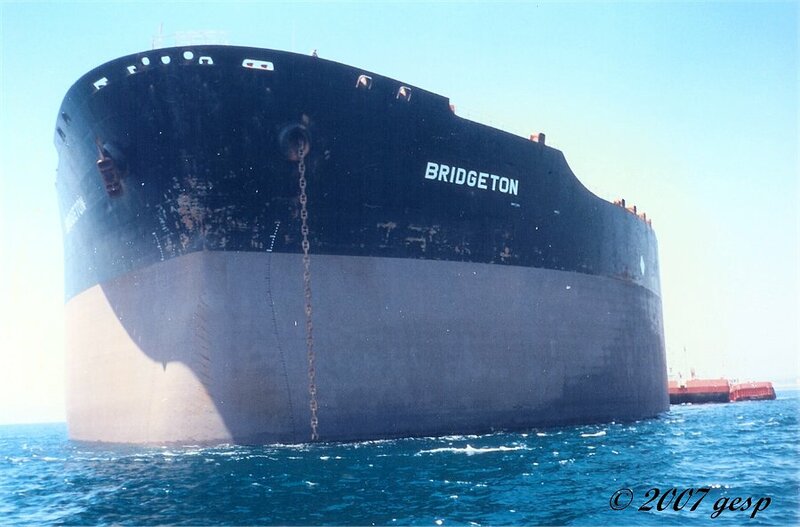 "Bridgeton", anchored at Gibraltar Bay. Photo taken July 1992. "Bridgeton", in the Persian Gulf, around 1988.